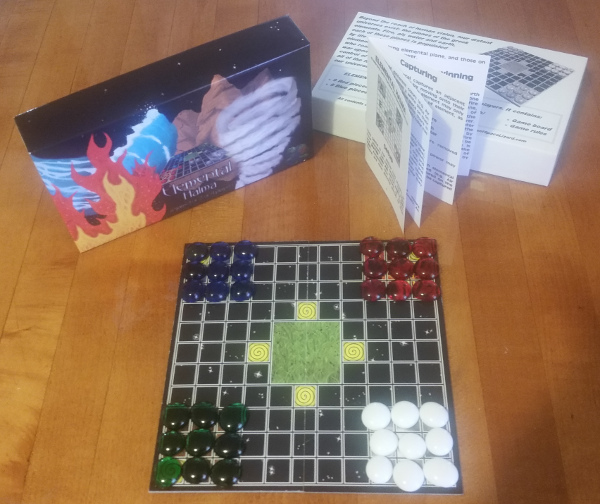 Elemental Halma – Print & play board game – Giant Space Lizard! 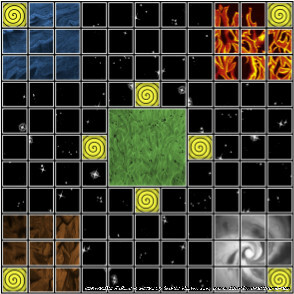 In Elemental Halma, you control the Greek elements of Air, Earth, Fire and Water in an attempt to take over the universe. 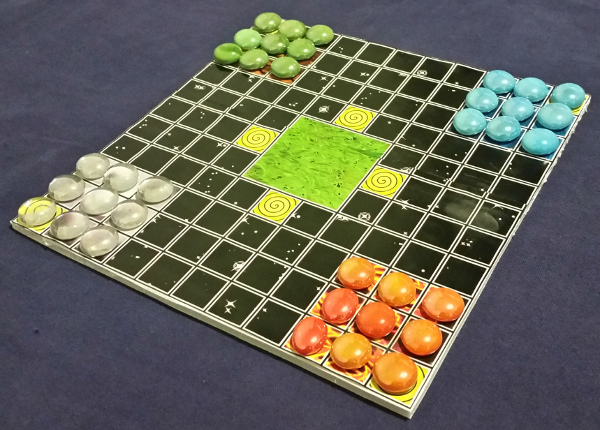 It can be played by two or four players and has relatively simple rules, but different square types and the rules for capturing other pieces create complex strategies and standoff situations. 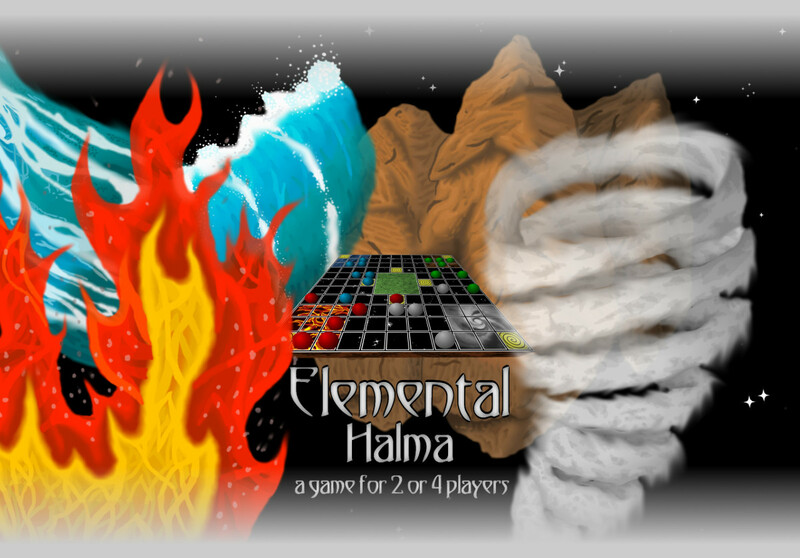 Elemental Halma is a board game which can be played either by downloading the board and rules and printing them out, or by purchasing a print-on-demand copy. See below for details. All of these files can also be downloaded at Archive.org. 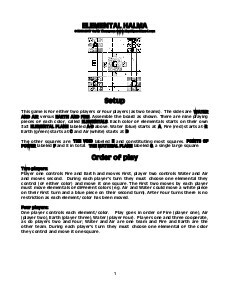 The rules are designed to be printed on 8.5 x 11 in. paper. 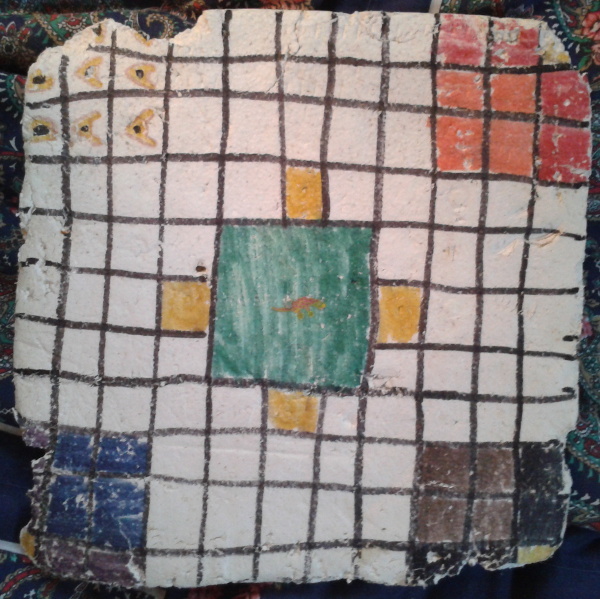 The board is 9.5 x 9.5 in. so can either be printed on two 8.5 x 11 in. sheets with 1.5 in. or smaller margins, or a single larger sheet if your printer is capable of this. Configuring it up to print at 100% size, I was able to print it on two sheets, and affix it to poster-board with a glue stick, resulting a nice-looking and usable game board. 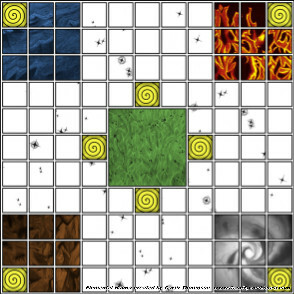 You can use whatever is available for game pieces, you will need nine each of four different types of pieces. I recommend the roughly 0.7 in. diameter glass beads that are available in many colors. I was able to purchase a large bag of these at a gardening store, but I’ve since seen them for even cheaper at dollar stores. I hope you find this update enjoyable! I am always open to suggestions about how this game could be improved, please e-mail me at: suggestions AHT giantspacelizard DAWT com. Elemental Halma © 1988-2017 Garth Thompson. The free downloads above for the board, rules and printer-friendly board may be distributed as per the CC-BY-NC-SA license.